Chances are, though, he won't have time to starve to death. The damaged machinery, unforgiving environment, or plain-old "human error" are much more likely to kill him first. But Mark isn't ready to give up yet. Drawing on his ingenuity, his engineering skills—and a relentless, dogged refusal to quit—he steadfastly confronts one seemingly insurmountable obstacle after the next. Will his resourcefulness be enough to overcome the impossible odds against him? "The best book I've read in ages. Clear your schedule before you crack the seal. This story will take your breath away faster than a hull breech. 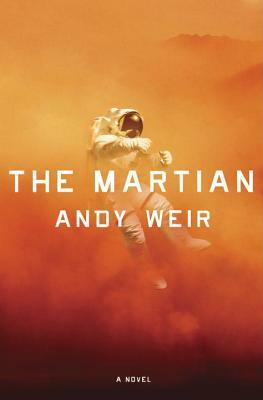 Smart, funny, and white-knuckle intense, The Martian is everything you want from a novel." “Humankind is only as strong as the challenges it faces, and The Martian pits human ingenuity (laced with more humor than you’d expect) against the greatest endeavor of our time — survival on Mars. A great read with an inspiring attention to technical detail and surprising emotional depth. Loved it!" "Strong, resilent, and gutsy. It's Robinson Crusoe on Mars, 21st century style. Set aside a chunk of free time when you start this one. You're going to need it because you won't want to put it down." Click the logo below to sign up and support us when you listen!